All of 1,796 people consumed Oreo in the ritualistic 'Twist, Lick, Dunk' style, simultaneously, at IIT Mumbai's Mood-I. Cadbury owned biscuit brand, Oreo, set a new Guinness World Record at IIT Mumbai's annual college festival, Mood Indigo (aka Mood-I), held at Powai, on December 22. 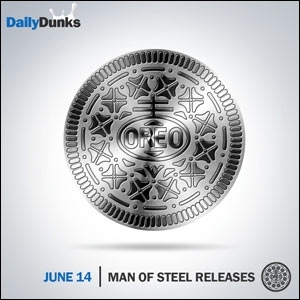 All of 1,796 people simultaneously consumed Oreo biscuits in the brand's signature 'Twist, Lick, Dunk' style, breaking the previous record set by 1,503 people in Argentina. The activity was organised by Candid Marketing, a brand activation agency. 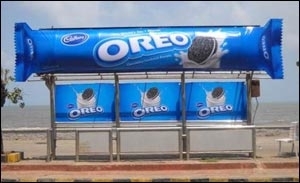 Chella Pandyan, associate vice president, biscuits, Cadbury India, says about the effort, "With Oreo, we are constantly evaluating platforms that give us the opportunity to broaden the brand's appeal across age groups. The recent Guinness World Record attempt was one such endeavor. The 'Twist, Lick, Dunk' ritual is an integral part of the brand's DNA and seeing such a large number of consumers performing it together has been truly special." In a press statement, Fortuna Burke, adjudicator, Guinness World Records, congratulates team Oreo on this achievement. The previous record was set at Parque de la Costa, Tigre, Argentina, on December 1, 2012. People were invited to join the largest 'merienda' (afternoon snack) and were handed a cup of milk and packet of Oreo cookies on entering the premises. Participants included families with small children. Some of the other popular cookie-related Guinness World Records include: 'Largest collection of Cookie jars', 'Largest Cookie Mosaic', 'Most Cookies baked in one hour', 'Largest Biscuit Cookie', 'Largest bag of Cookies', 'Most Expensive Fortune Cookie sold at auction', 'Tallest Cookie Tower', 'Most Cookies Baked in Solar Ovens' and 'Tallest Pyramid of Cookies'. For the record, brand Oreo was first introduced in 1912, and is now present across the globe in many flavors and varieties, such as chocolate covered, wafers, pie crusts and soft snack cakes. Some of the markets where it is available are Argentina, Australia, Canada, China, Indonesia, Mexico, Peru, Poland, Puerto Rico, Netherlands, Romania, Russia, Spain, Taiwan, Thailand, Ukraine, United States, Venezuela and India. Part of Mondelēz International, Cadbury India operates in five categories, namely, chocolate confectionery, beverages, biscuits, gum and candy. In the chocolate confectionery business, Cadbury has maintained its undisputed leadership over the years. Key brands in this segment are Cadbury Dairy Milk, Bournvita, 5 Star, Perk, Bournville, Celebrations, Halls, éclairs, Tang and Oreo.